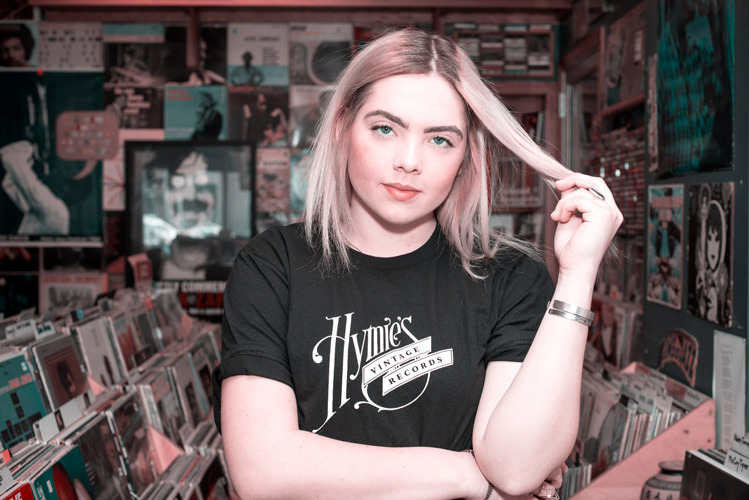 Laura (co-owner of Hymie’s) recently welcomed Soul Flower into Hymie’s Record Store, located off Lake Street in the Longfellow neighborhood of South Minneapolis. 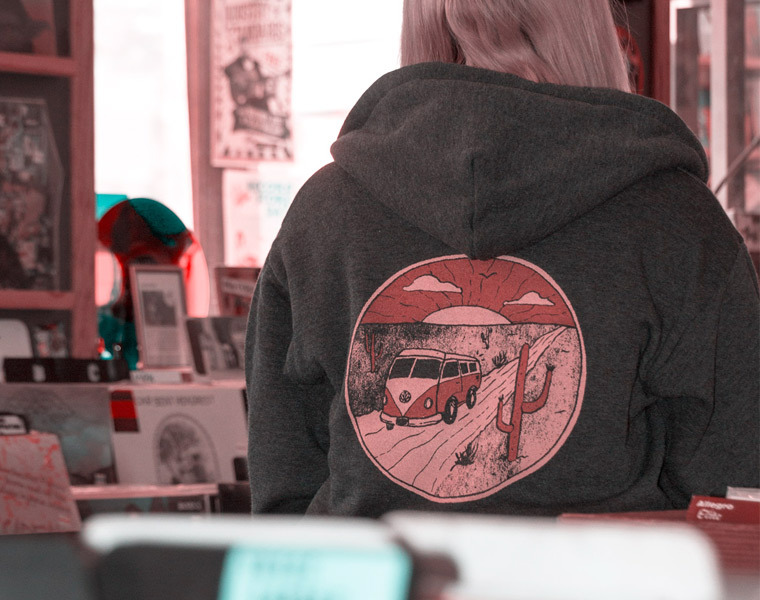 Hymie’s was once described by Rolling Stone as “a classic, overstuffed mom-and-pop used-vinyl haven” and we were so excited to to have it as a backdrop for our Heart & Soul Collection! 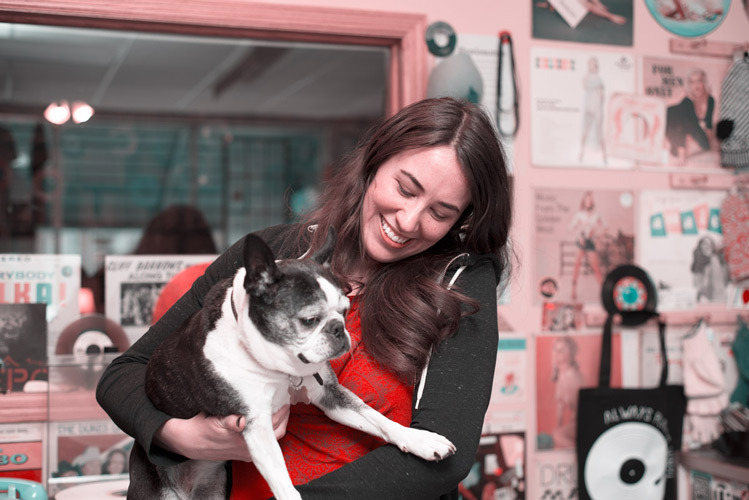 We took the opportunity to ask Laura about herself, Hymie’s, and of course music. Q: Tell us a little bit about your business, Hymie’s Vintage Record Store. 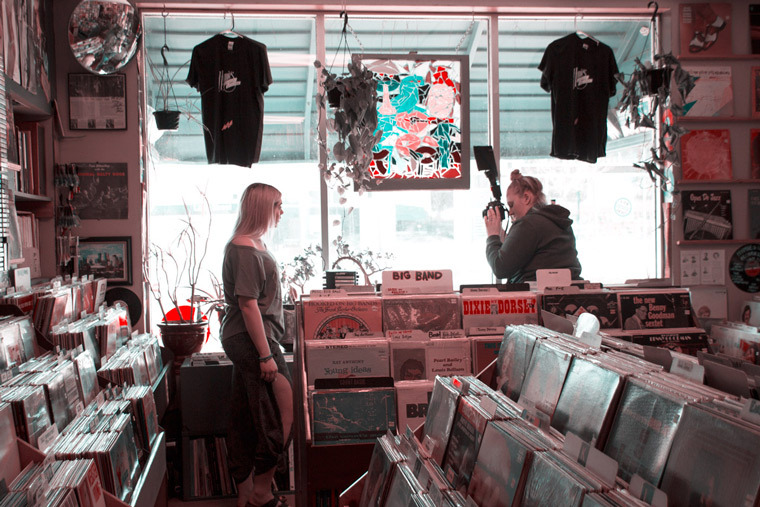 A: Our store is in the Longfellow neighborhood of south Minneapolis, and was started in 1988. 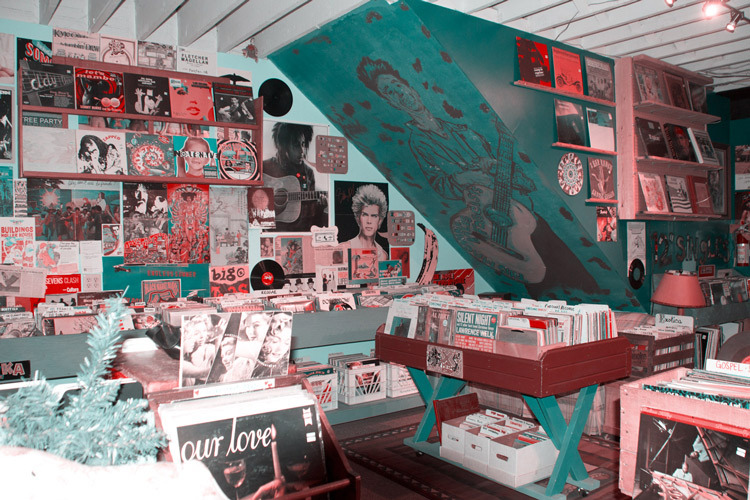 We have a huge selection of new and used vinyl, and we think of ourself as the friendly neighborhood record store. Q: What got you into music so deeply that you made it such a big part of your life? A: My husband and I have been music fans and record collectors our whole life. 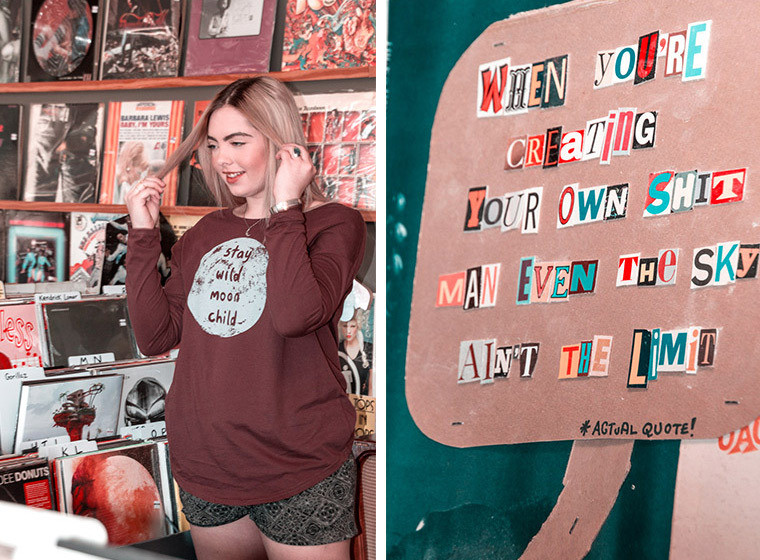 Growing up in the 80s I used to love to listen to the radio and make mix tapes, and owning a record store is an incredible extension of our love for all types of music. Q: Is vinyl dead? Why or why not? A: Of course not! 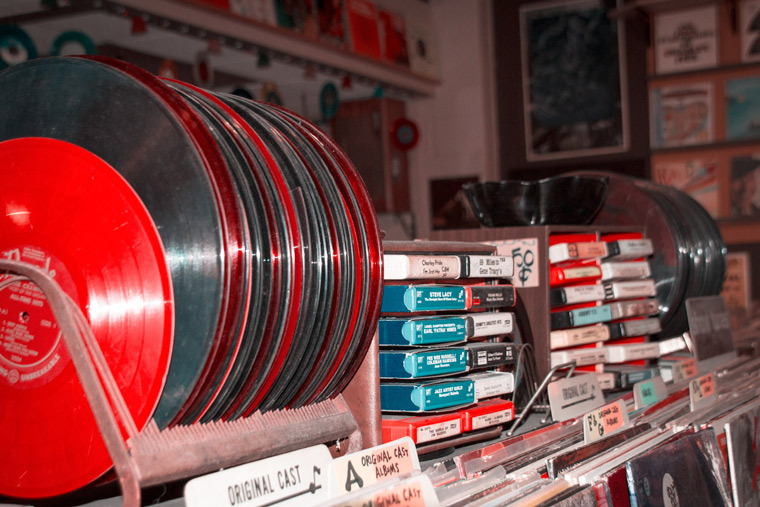 So long as there is recorded music, there will be vinyl. 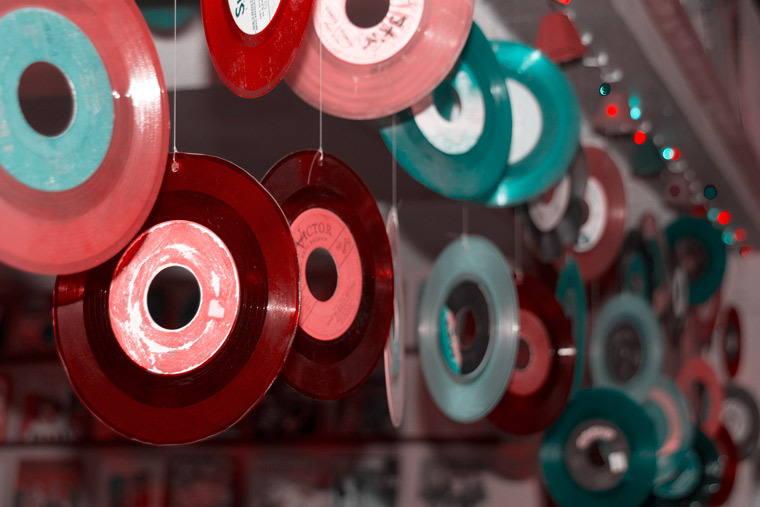 Some people collect records because they like to hear the music as it was originally put out into the world. Some people collect records because they like the big artwork of the cover and the liner notes, and the feel of the vinyl when they put it on the turntable. Some people like hearing new and remastered reissues. There are as many reasons to collect records as there are people, but even as albums evolve from cassettes, to CDs, to downloads, there will always be room for new and used vinyl. Q: If you need a musical mood boost, what record do you put on? A: Recently I’ve really been loving new records from Lemuria and Superchunk, but listening to old favorites like Marvin Gaye and Hall & Oates is always a lot of fun too! Q: What do you love about the neighborhood Hymie’s is located in? A: I love the other small businesses in our neighborhood, the restaurants and shops and parks! We’ve lived in the Longfellow neighborhood for 15 years, and I couldn’t be happier that my work commute is a 10 block walk. Q: Does Hymie’s plan to do anything for record store day April 21st? A: Yes, we will host our annual Record Store Day Block Party. 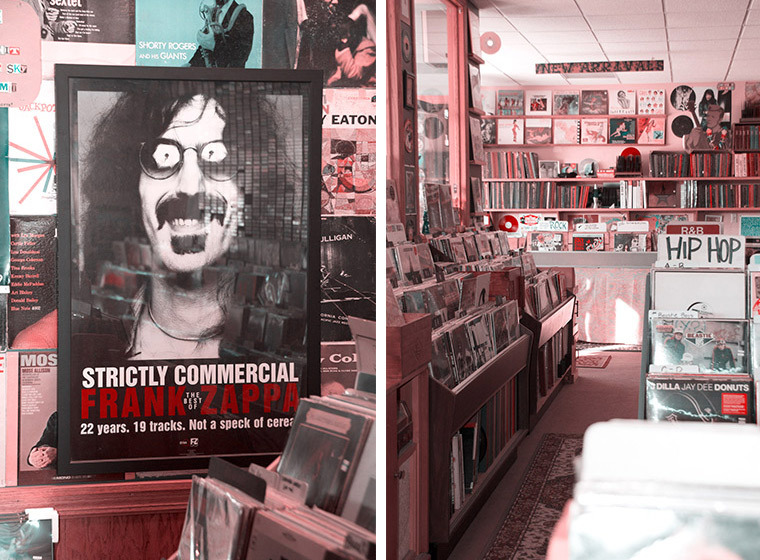 My husband and I took over the store on Record Store Day 2009, and then one year later we had a huge party on RSD and closed the store to move to our new location so we think of the annual event as a birthday party for the store. We love being able to feature a bunch of local Minneapolis musicians, and we save up records all year to put out for free on that day. Q: What’s your favorite local venue to see live music? A: Just like most people, I love being at First Avenue, and have seen some incredible shows there. I’m still sad about the departure of the Triple Rock, but the Turf Club and the Hexagon as well as the Hook and Ladder are all places I love to go. Q: What else do you enjoy doing besides running a record store? A: Knitting! I love creating sweaters, hats, mittens, and knitted fruits and veggies. I even sell a handful of things at my store. A: My Soul Flower t-shirts are definitely among my favorites because they stand up to lots of wear and seems like they never fade. I also love the earrings and necklaces I’ve accumulated over the years. Q:If you had to pick just one album that you’d recommend we listen to right now, what would it be and why? A: I’ve been playing Lemuria’s “Recreational Hate” almost daily for a few weeks, and I can’t wait to hear the new record from Hop Along called “Bark Your Head Off, Dog” next month! 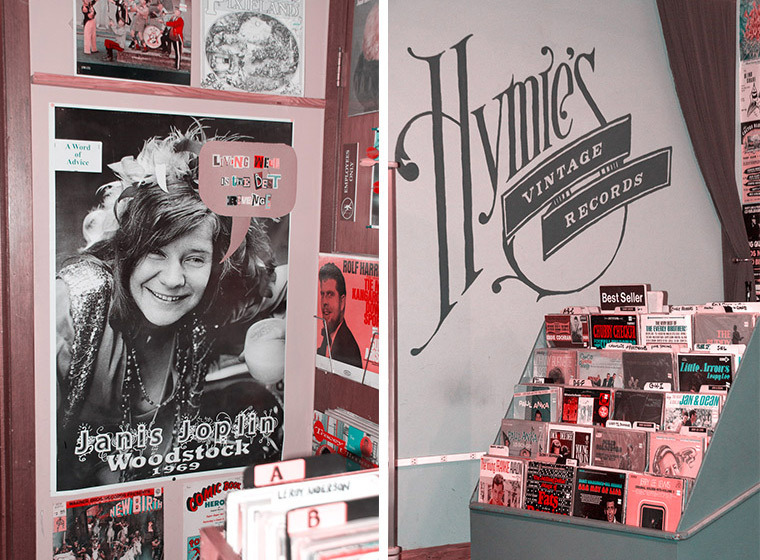 Thanks again to Laura and Dave (& Irene) for welcoming us in to Hymie’s Vintage Record Store! 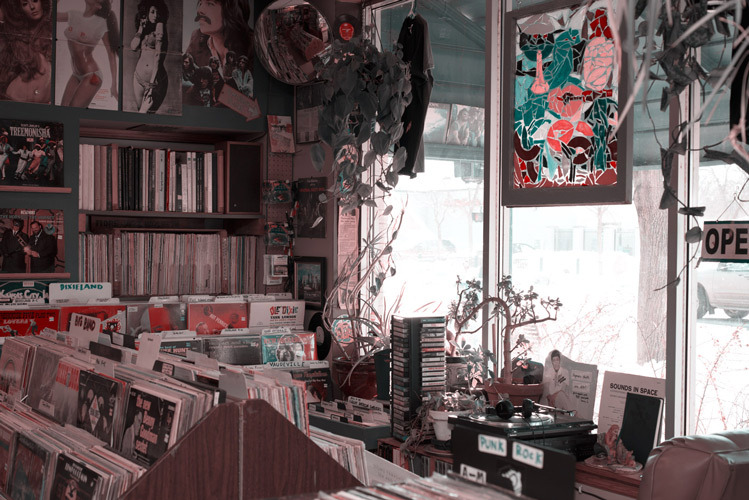 We loved every minute of our visit and encourage anyone in the Minneapolis area to go check out the cozy, vintage vibes and huge record selection of Hymie’s for themselves. Don’t forget to get out support you local record store April 21st!